For the past two years Democrats often had to live with passing legislation in the House only to see it die in the Senate. Republicans experienced this today as their efforts to repeal the Affordable Care Act failed on a 51-47 vote. Now Republicans will have to hope for further help from conservative activist judges to change the law as passed by Congress. One portion of the health care legislation was reversed with strong bipartisan support. An amendment proposed by Michigan Democrat Debbie Stabenow to repeal the 1099 reporting requirement passed 81-17. While the requirement to issue 1099’s to most suppliers was predicted to bring in an additional $17 billion in tax revenue, it was also felt to create far too much paperwork for small businesses. While the video demonstrates the ignorance of evolution on the part of Congressman Jack Kingston, I wish they had also included the discussion of climate change where Kingston showed similar ignorance of science. 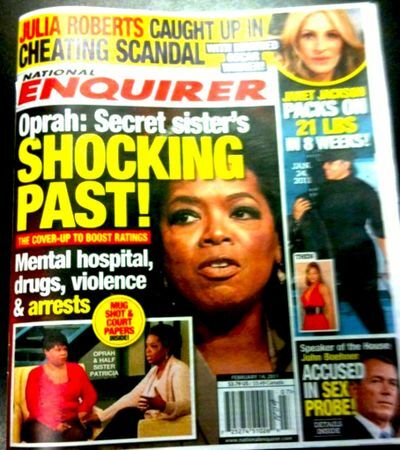 After the National Enquirer turned out to be right about John Edwards (more on that story here), I am far more likely to take them seriously when they publish accusations about other politicians having affairs. Their latest target is John Boehner, raising the question as to whether he will have the shortest speakership ever. The story involves accusations of Boehner sleeping with lobbyist Lisbeth Lyons along with congressional press secretary Leigh LaMora. 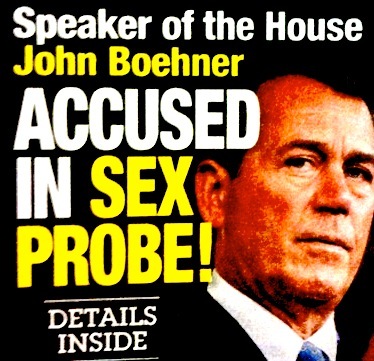 Perhaps a few Republicans will question Boehner’s relationship with a lobbyist (assuming the story is true) but in the past scandals involving Republicans from John McCain to Newt Gingrich have quickly gone down the memory hole and have been forgotten.